Possibly one of the biggest things that make every yearly Call of Duty title stand out from the first-person shooter pack is how much it allows players to customize and personalize their profiles. 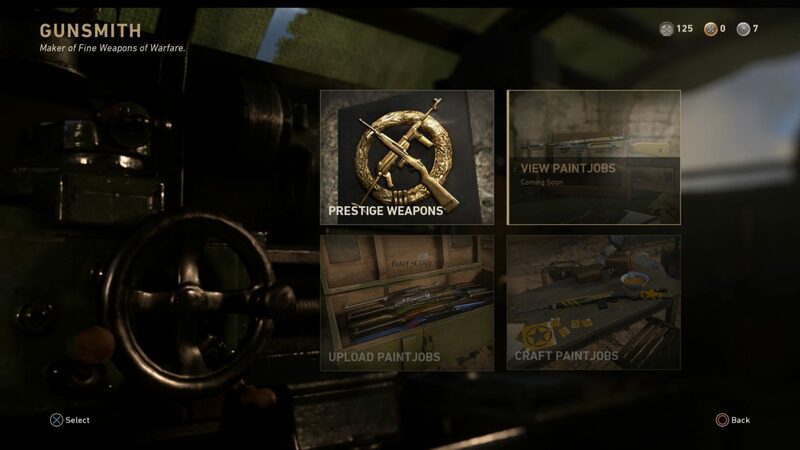 There’s gun camos, character skins, and even DIY (do it yourself) emblems, clan tags, and more. These level of customization is the same in the most recent COD game, Call of Duty: WWII. While there’s a lot of customization options to be had in the game, one option that’s still missing are the paint jobs. Those not familiar with the tool, it allows gamers to be really creative in terms of gun design letting them put on almost conceivable on their guns. Well, that’s about to change really soon! Over on Twitter, Sledgehammer Games boss Michael Condrey responded to a fan asking when an emblem gallery and paint jobs will make its way to COD: WWII, and the answer is: next week! For those not familiar with what Condrey is referring to, the first expansion pack titled the “Resistance” will be dropping next week, and it’ll kick off the “Resistance Event” that will roll out a new Division, weapons, items and lots more. It will start on January 23 and end on February 27. This is definitely good news for those who want more personality in their characters and profiles. In other COD: WWII news, you might want to check your inbox if you still don’t have the game, as Activision is said to be sending free digital codes to gamers.